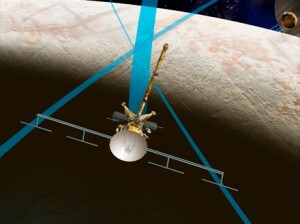 On Tuesday, March 4, NASA released an overview of its 2015 budget request, which includes funding for the formulation for a mission to Jupiter’s moon, Europa. 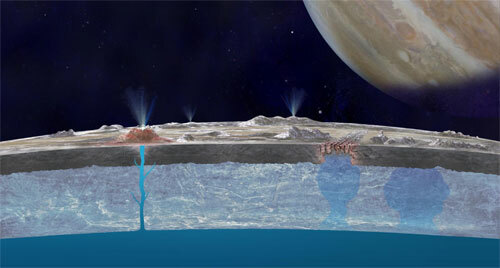 Astrobiologists are excited about the potential habitability of Europa. Planetary scientist and astrobiologist Kevin Peter Hand explained to CNN in 2012 that Europa “provides an incredibly compelling place to go to search for a second, independent origin of life and it’s a place where we might find lifeforms that are alive now, today.” Experts believe Europa has two-to-three times the volume of all the liquid water on Earth, so Europa’s ocean is likely to have a wide variety of ecosystems. And a recent study suggests that the building blocks for life are common on this icy moon. 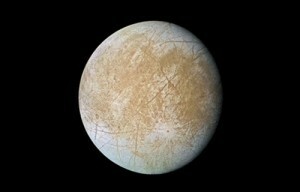 Europa has been a location of interest for a while now. NASA previously had plans to launch a large spacecraft called the Jupiter Europa Orbiter (JEO), but the craft’s steep price tag of $4.7 billion grounded the project indefinitely. Looking for a more cost-effective solution, astrobiologist Pabulo Henrique Rampelotto of Brazil’s Federal University of Pampa formulated alternative mission concepts for sending craft to Europa. As outlined in the journal Astrobiology, Rampelotto proposed sending three small spacecraft, rather than one large spacecraft. His plan included sending two orbiters and a probe carrying a surface impactor. NASA’s budget proposal also includes funding to develop technologies that will help achieve a manned Mars mission in the near future.